With winter in full swing we have been selling plenty of dry tops and dry suits of varying designs, qualities and price points. 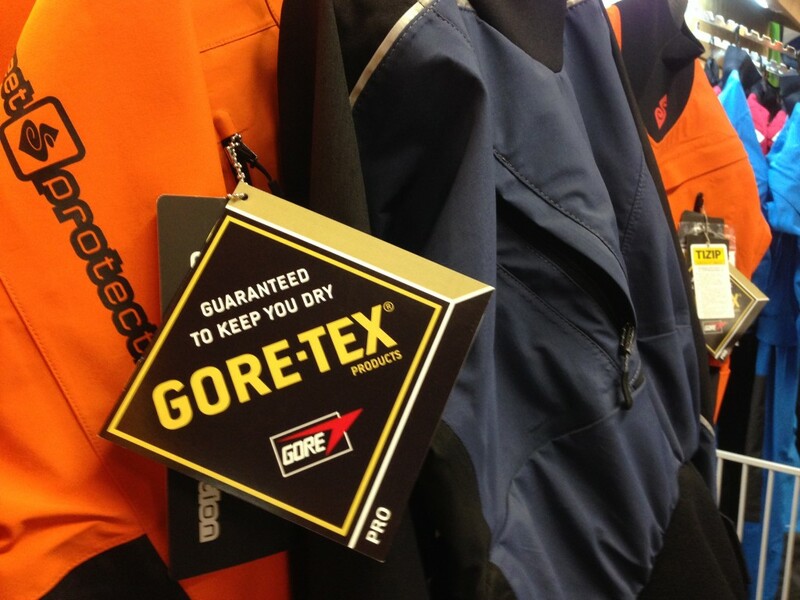 Questions we regularly get asked in the shop are: What is up with Gore-tex products? Is it actually better? Why is it more expensive? Is breathability actually important? How long does it last? A great question, I’m glad you asked. According Gore-tex: The origin of waterproof and breathable GORE-TEX outerwear, footwear, and gloves starts with five little letters: ePTFE. Expanded polytetrafluoroethylene, or ePTFE, was created by Bob Gore in 1969 when he rapidly stretched PTFE under certain conditions. The result was an incredibly strong, microporous material with an amazing list of characteristics including low water adsorption and good weathering properties. The GORE-TEX membrane: The secret of GORE-TEX products — which are both completely waterproof and completely breathable at the same time — lies within its our revolutionary bi-component membrane. The membrane contains over 9 billion microscopic pores which are approximately 20,000 times smaller than a drop of water, but 700 times bigger than a molecule of moisture vapor. So while water in its liquid form cannot penetrate the GORE-TEX membrane, as moisture vapor it can easily escape. So to summarise Gore-tex is a fabric which is very Strong, Waterproof, Windproof, Lightweight and crucially very Breathable. Sounds like my current dry top/dry suit has some of these properties, does that mean its just as good? Well another great question, but honestly a bit like comparing our shop Sprinter van to a Ferrari and calling them both race cars. They could both go round a track but thats where the similarities end. Whilst your current dry top maybe be windproof and waterproof it is certainly not in the same league as Gore-Tex in terms of weight, breathability and performance. Gore-Tex tops feel much lighter when they are on, they keep you extremely warm and dry and they breath better than almost any other material on the market. What is breathability? Does it even matter? Another fine question, Breathability is often misunderstood, Let us break it down for you. Breathability is not the fabrics ability to let air pass through it is actually how the fabric lets sweat in the form of moisture vapor escape from inside the garment. Huh? Can you show me a video to explain that? Yes of course, look at this bad boy. But Gore-tex is so much more money, I can’t really justify it. Well although the initial outlay on say a Gore-Tex drysuit from Kokatat is higher the suit you get is guaranteed for life. That means in three years time you are not looking going to be buying an expensive replacement just an inexpensive repair and possibly a new set of gaskets. Then three years later you still won’t need an expensive replacement because your suit is still guaranteed for life. 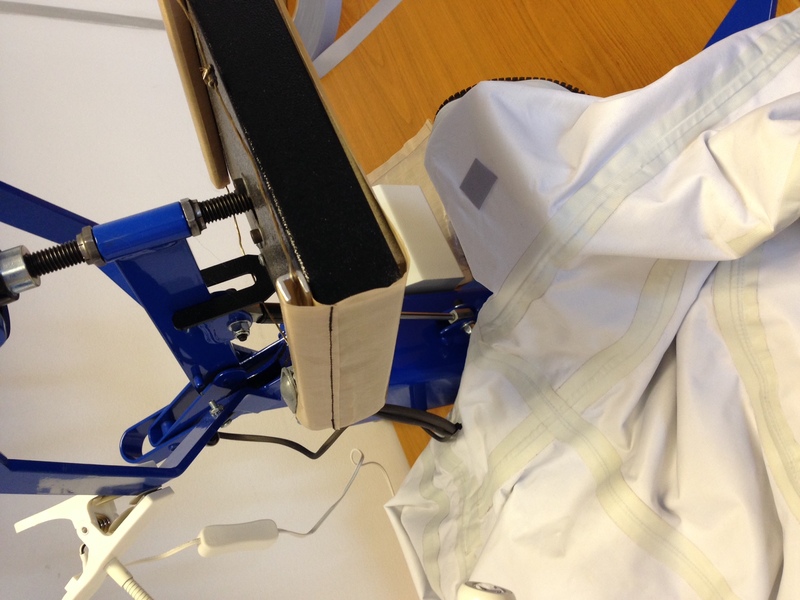 The material won’t de-laminate with use, like other dry tops because the Gore-tex membrane is much more durable. So 10 years after you purchase your Gore-Tex suit it can still perform just as well as when you first got it. 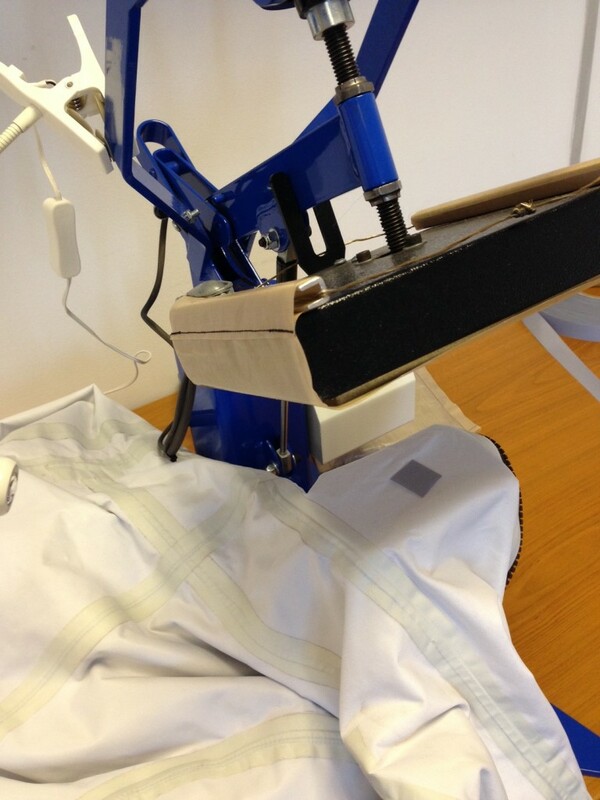 If you look after your suit and get it serviced regularly we expect it to easily outlast all of its competitors and it is not uncommon to see people with well cared for Gore-Tex products that are 10+ years old. That is not to say its indestructible but with proper care Gore-Tex suits regularly exceed the 10 year mark. Breathability sounds like something I need in my life, is Gore-tex the best there is? Glad you are coming around to the idea! Well Gore-tex is strictly speaking out performed in terms of breathability by a material called eVent. However the durability of Gore-tex easily out performs eVent meaning a Gore-tex dry suit/dry top will last a lot longer than its eVent counter part. I sometimes paddle on the sea will the salt water stop my Gore-tex products from breathing? Will salt clog up the semi permeable micro porous GORE-TEX membrane? No, this is a myth! Salt molecules are far too large to fit into the tiny holes in the GORE-TEX membrane. If you don’t wash all the saltwater off your garment after a trip to the ocean the remaining salt on the face fabric will attract moisture (so rinse it off! ), but GORE-TEX will breathe when the face fabric is completely saturated (even underwater). So there you have it, come on into the shop and get your hands on some Gore-tex gear which will make paddling much more comfortable. 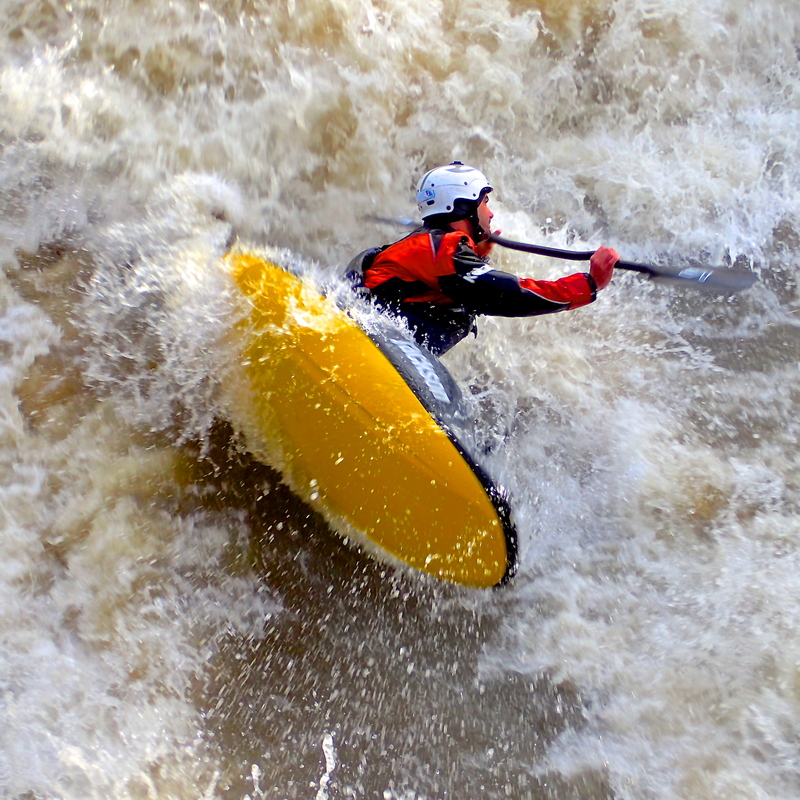 Personally nowadays Pete, Richard, Seth, Amanda, Mike and Graham (all the staff) all paddle with Gore-Tex dry suits or cags and would not buy (yes we still do pay for our kit) any thing else, once you try it you’re never go back!